Potosi is a city in the south of Bolivia that is famous for its history with mining. This city is one of the highest in the world as it sits at an altitude of 4,090 m. In 1987, this city was named a UNESCO World Heritage Site. Potosi is situated close to the mountain, Cerro de Potosi (sometimes referred to as Cerro Rica). This mountain used to be incredibly rich in silver, and therefore when it was discovered by the Spanish mining started almost immediately. This led to Potosi being established in 1545. It was estimated that this mountain produced 60 % of the worlds silver in the sixteenth centuary. 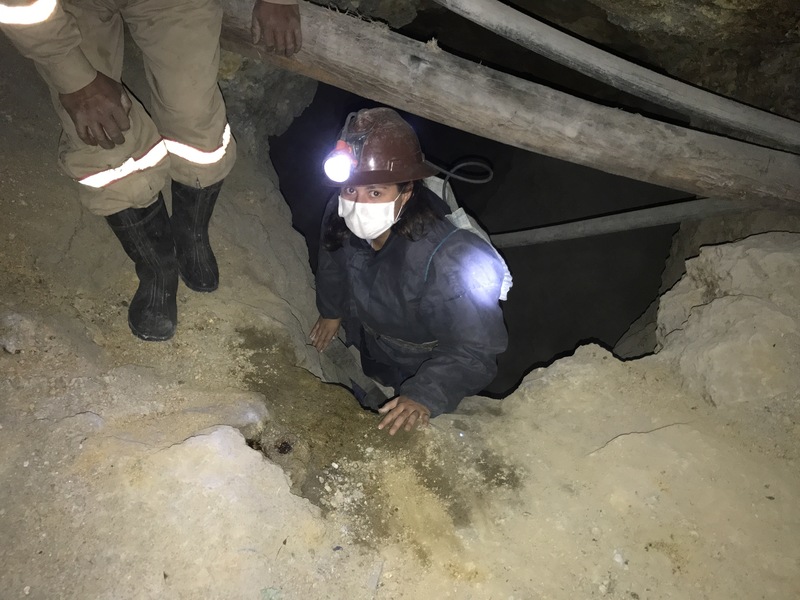 Native Bolivians were forced to work in the mines by the Spanish alongside 30,000 African slaves. This led to the Spanish empire becoming incredibly rich while the native Bolivians received none of that wealth. This mountain is still active for mining today and focuses on extracting silver and zinc. Conditions for the miners are still bad, and many suffer from silicosis (damage to the lungs). Miners cope with these conditions by drinking strong alcohol, chewing on coca leaves and praying to Tio. 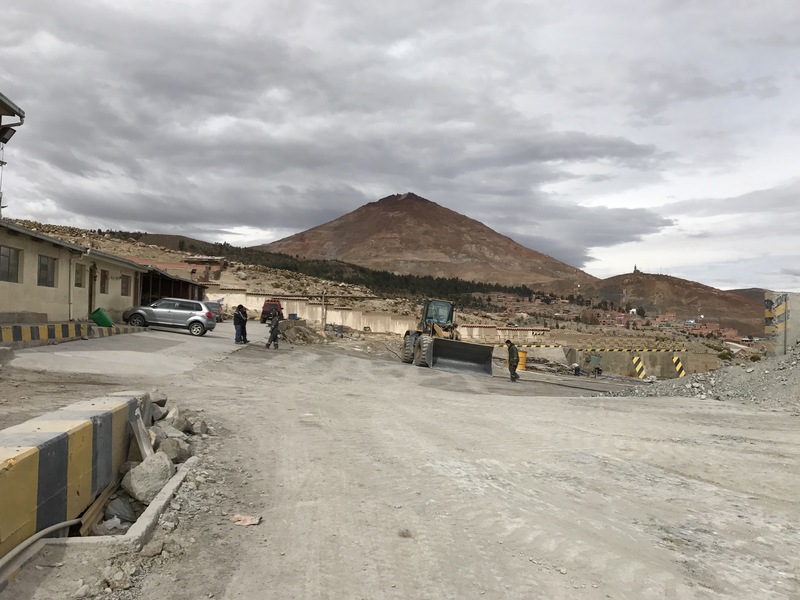 We did a tour of the Grito de Piedra mine. 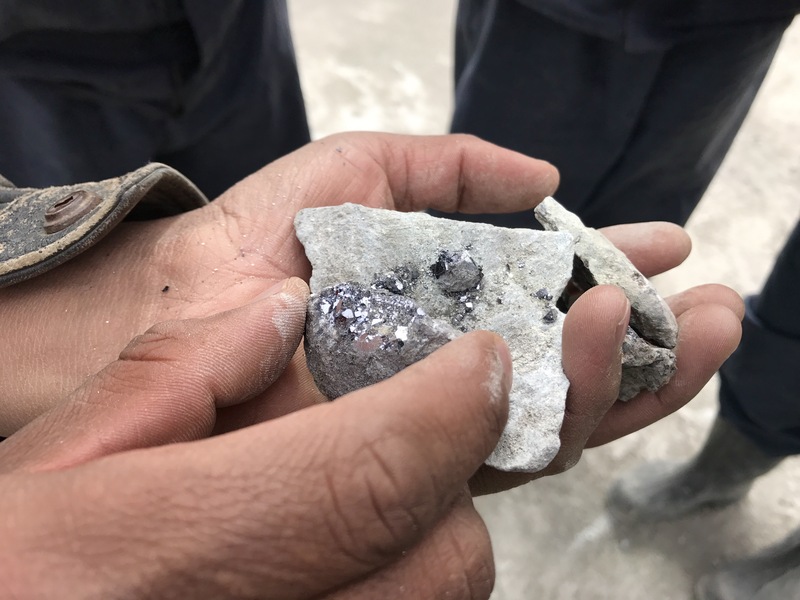 This is 1 out of 180 mines in Cerro de Potosi. 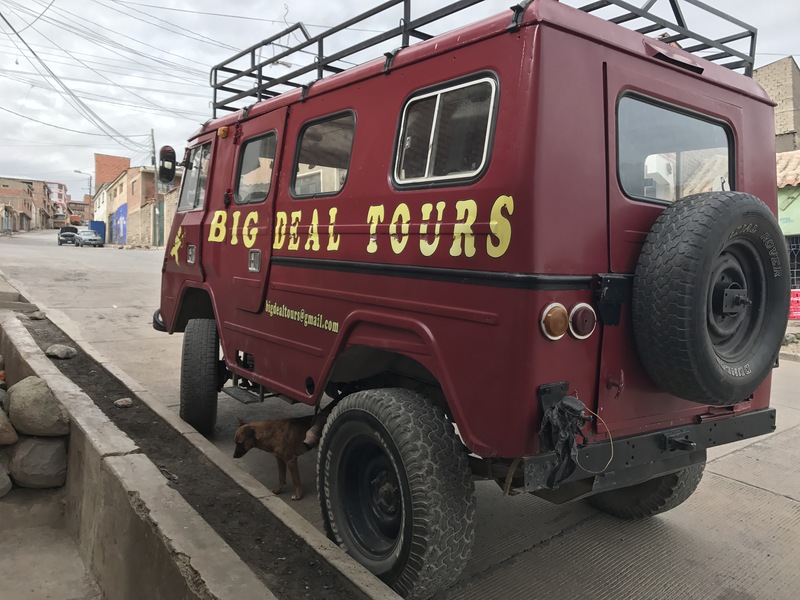 We did the tour through a company called Big Deal Tours. This tour company is owned and run by ex-miners and they provided one of the best tours I have ever done! When booking the tour, Courtney was very apprehensive. 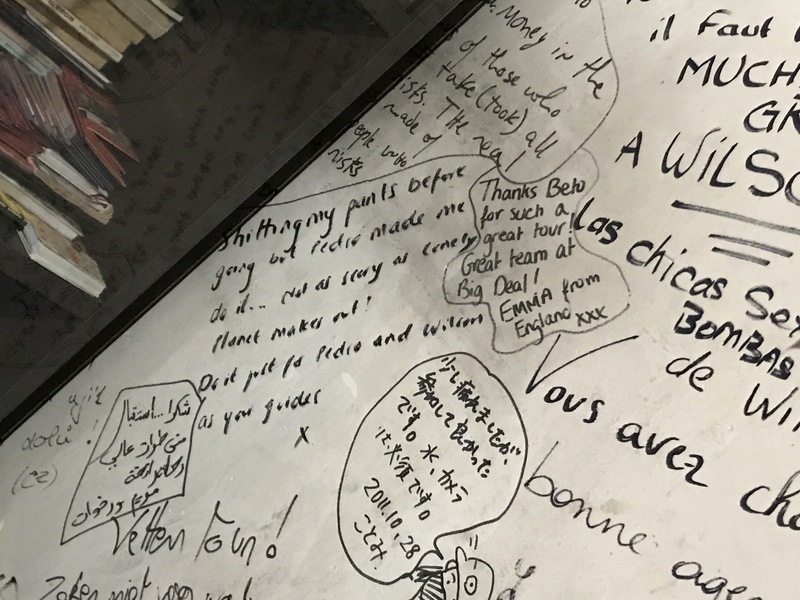 Pedro (who happened to be our guide the next day) was able to convince her to do the tour by showing us reviews of the tour on the wall of their office. 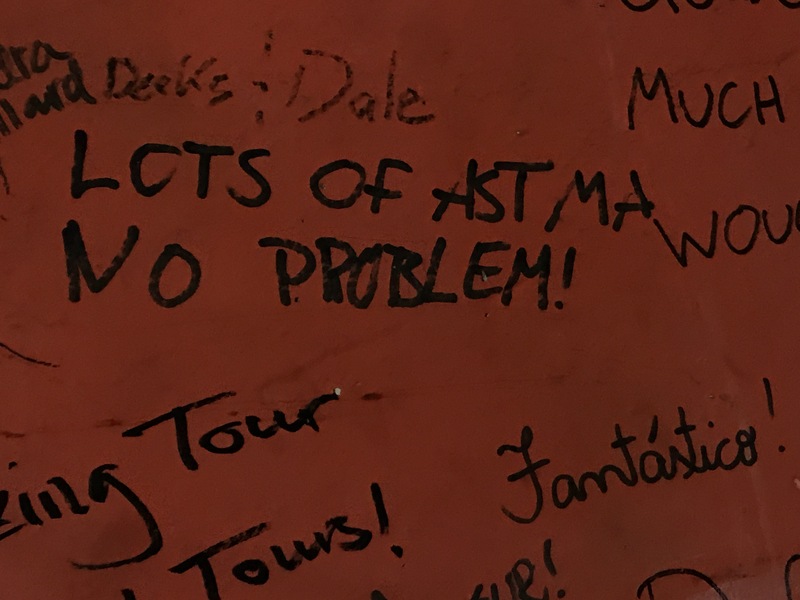 Asthmatics had said they had coped just fine but my favorite review read “shitting my pants before going but Pedro made me do it”. Pedro was a 35 year old Bolivian man who had begun to work in the mines at the age of 10. He stopped after 8 years and opened his own tour agency. All the men in his family have worked in the mines. His father had worked in the mines for 40 years. My favorite review! I could of starred at this wall for hours. So many hilarious comments. Putting Courtney’s mind slightly at ease with her asthma. We started the tour by going to the miners market. 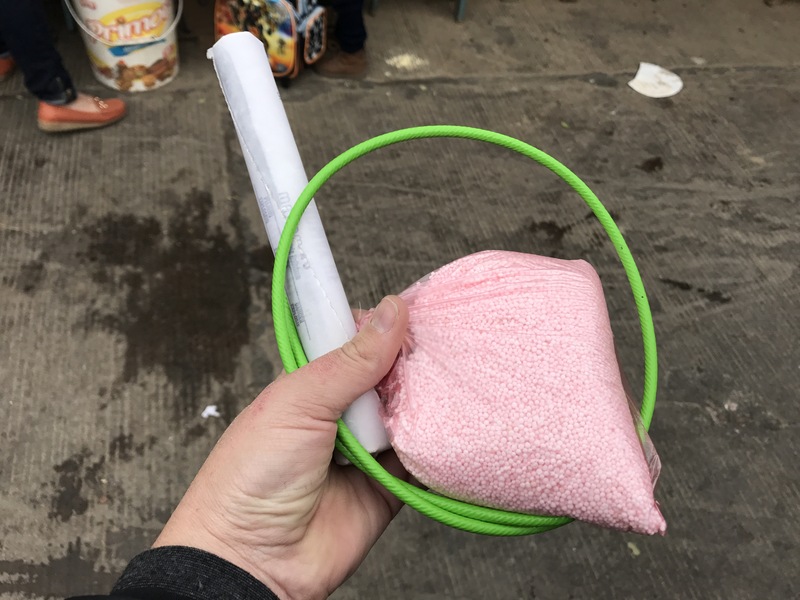 At this market the miners can buy everything they need for daily usage in the mines. It was suggested that we buy some soda and coca leaves for the miners we would come into contact with in the mine. One guy even bought dynamite (only cost R 50 or USD 4) for the miners. 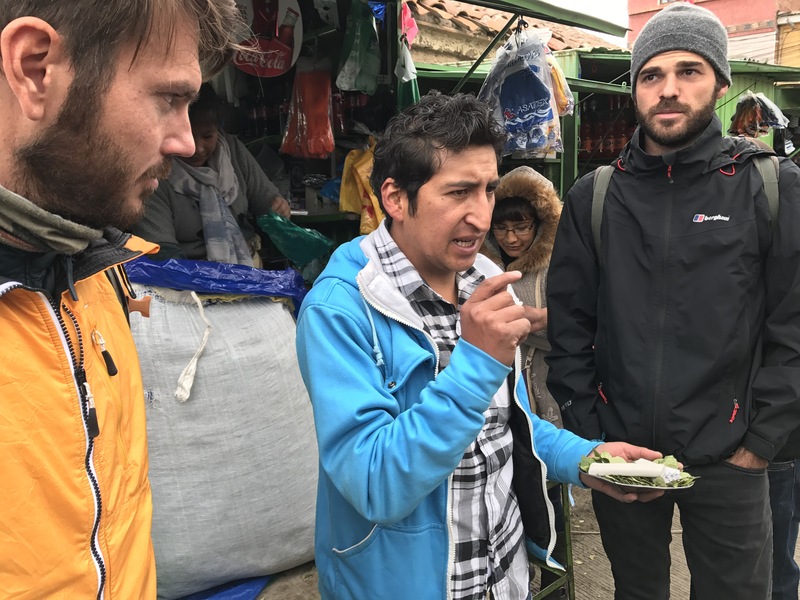 Pedro explained to us that the miners chew coca leaves all day in the mines to suppress their appetite, to control their thirst and to give them energy. He also showed us the alcohol that the miners drink. This alcohol was called ceibo, and was 96 % alcohol. I was the only one in the group to have a sip. It tasted like pure ethanol. The miners dilute this with water and drink it most days. Pedro teaching us how to chew coca leaves properly. 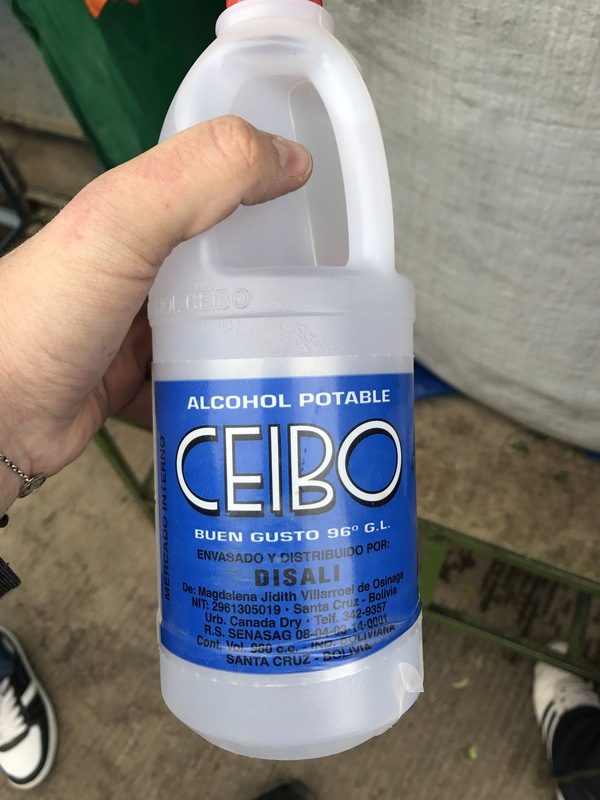 Ceibo tasted like what my biochemistry lab smelt like… I don’t know how people drink this! It was a very strange feeling to hold dynamite in my hands! After the miners market, we went to Big Deal Tours storage room. This is where we got overalls, gumboots and a protective head piece that was equipped with a head lamp. The view of Potosi from Big Deal Tours storage room. The vehicle that took us from town to the mine. Looking stylish while our guides goofed around. After getting dressed in the appropriate attire we went to a privately owned company that processes the minerals that the miners collect. This section of the tour was exclusive to our tour due to Pedro having connections with people that worked there. He can only take tour groups there when the company’s boss is not on site. At this site Pedro explained how the silver and zinc was extracted from the rock and how it was separated. This was very interesting to see. 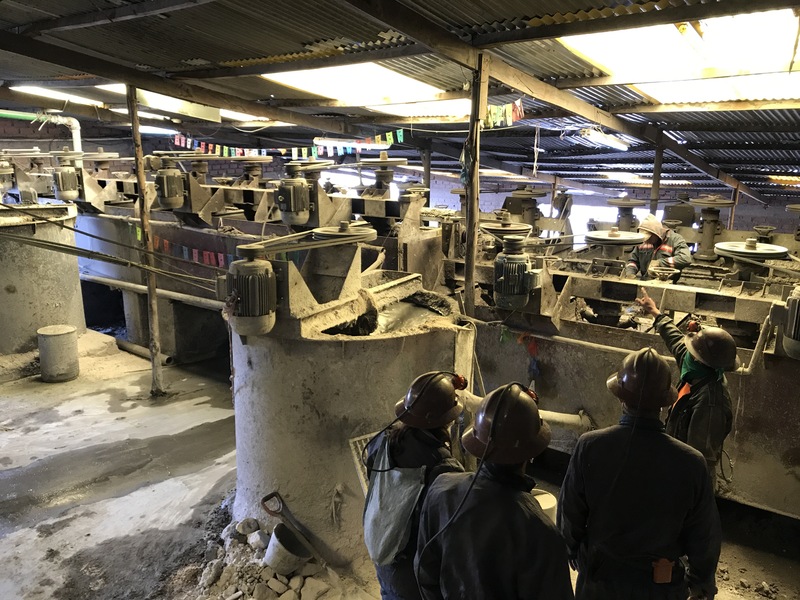 Most of the silver and zinc extracted from the mines in Cerro de Potosi is exported to China, however the company that we visited had a contact to export the minerals to Switzerland. Learning the science behind how the minerals are extracted from the rock. When we arrived at the mine, the first thing I saw were tents that were set up to test the miners for tuberculosis. We followed Pedro into the entrance of Grito de Piedra, this tunnel was wide but low. We climbed down a 2 m ladder and arrived at a statue of Tio. The miners believe Tio is a god that holds the power of death and life. 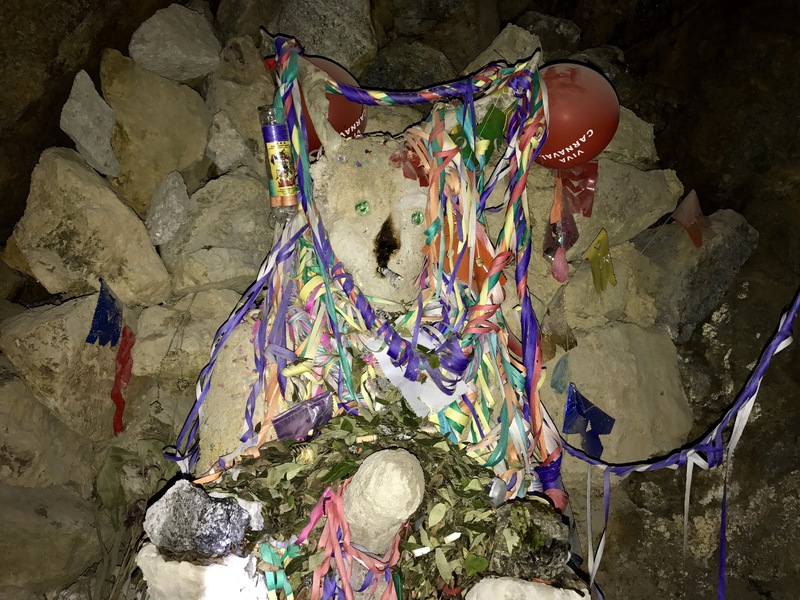 Pedro explained that every Friday the miners would come and chew coca leaves with Tio and offer him presents such as alcohol, coca leaves and cigarettes. After this we walked through a tunnel a narrow and low tunnel (we did this in our stomaches). Here we observed a team of three working. In this mountain, miners either work in teams or individually. They are not employed by large companies. This means that there are no mining unions or rights. 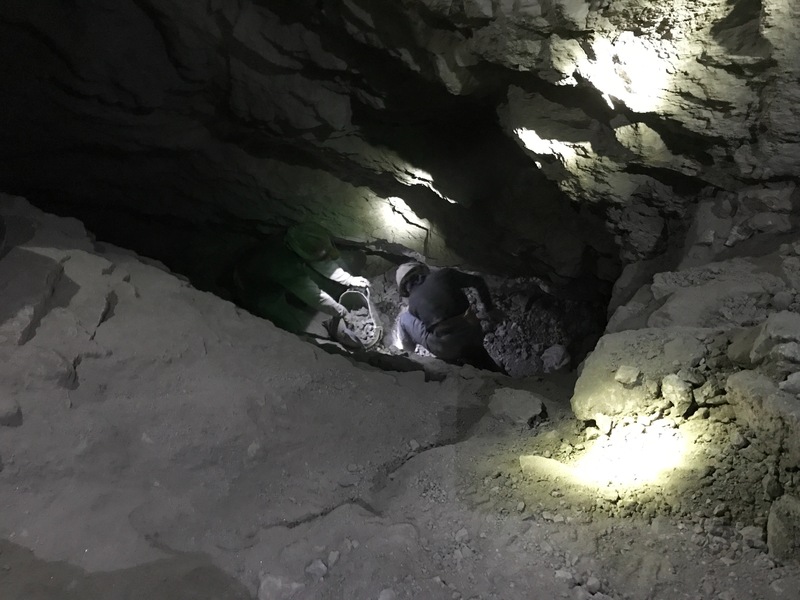 The law has changed recently that prohibits people under the age of 18 to work in the mines, however Pedro said in the school vacations high school boys come to the mines to earn some extra money. 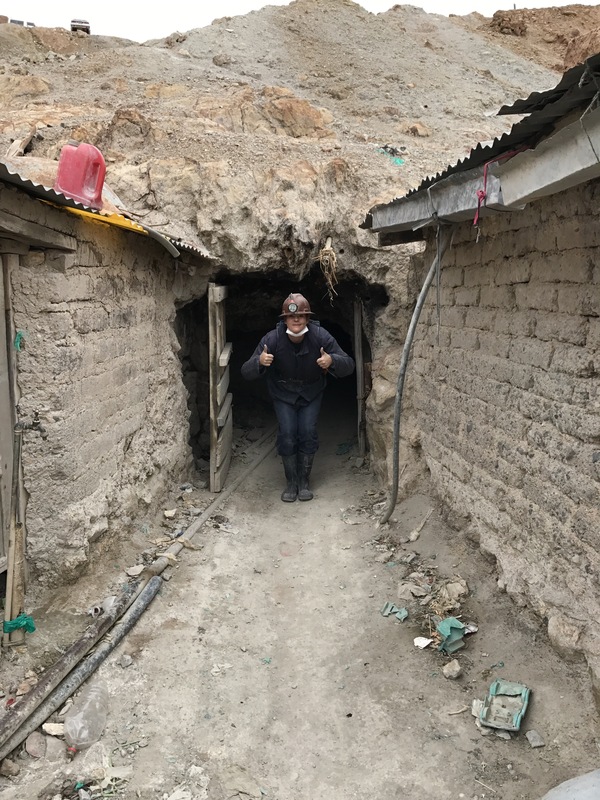 Miners generally earn USD 1,000 a month, however if the miner or his team are lucky and find a lot of silver and zinc they can earn up to USD 9,000 a month. 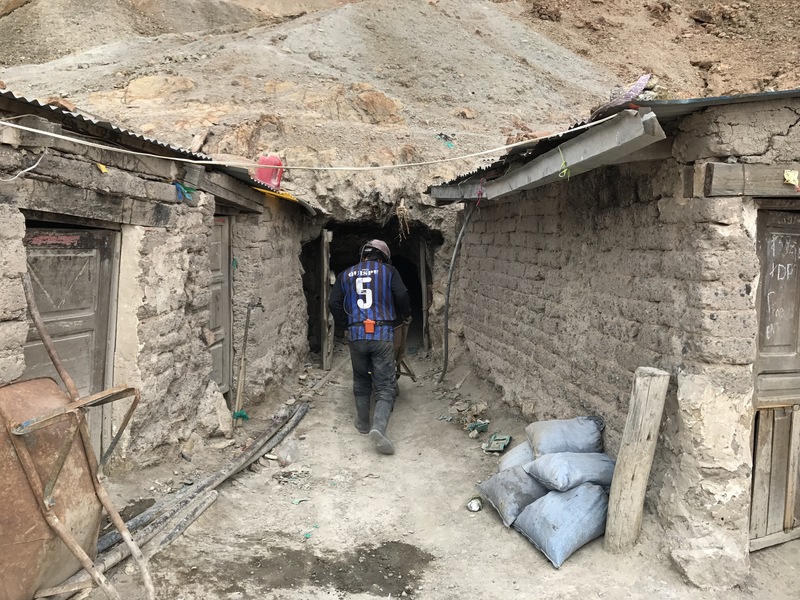 Courtney and I gave our soda and coca leaves to this team of miners and we continued along our way. We passed about 6 other miners on the tour. 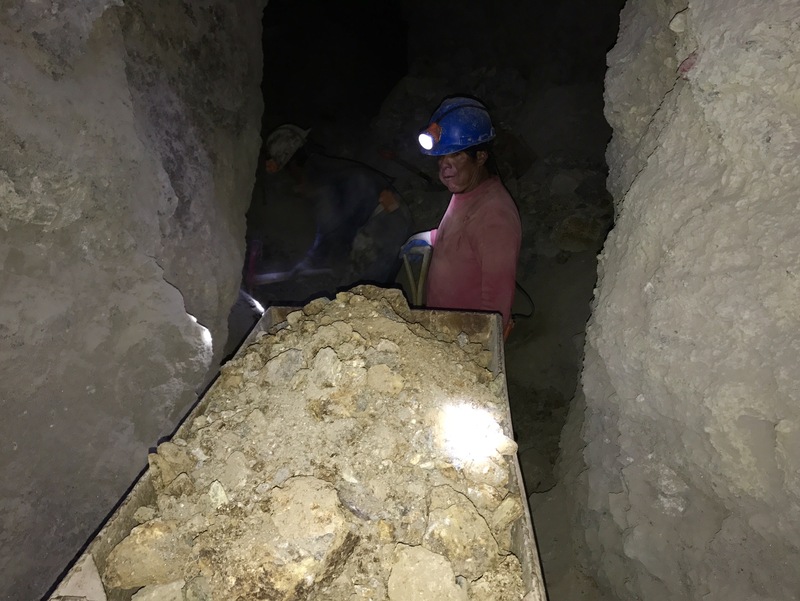 According to Pedro, 4 to 10 miners die each year in the mine (he said that majority of these deaths were due to stupidity). These miners use no equipment such as maps, compasses and other geological devices. 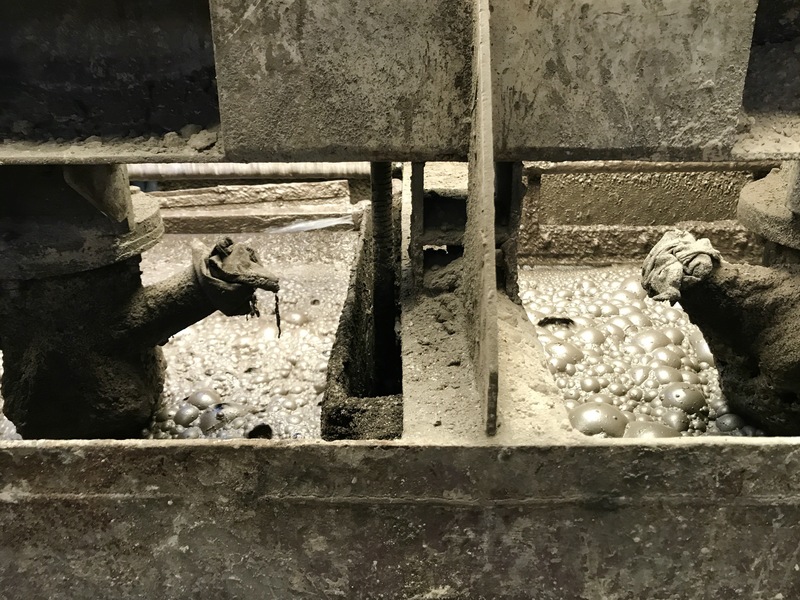 They mine purely on their knowledge of the mine and from their own expertise that they have honed over years of being in the mine. 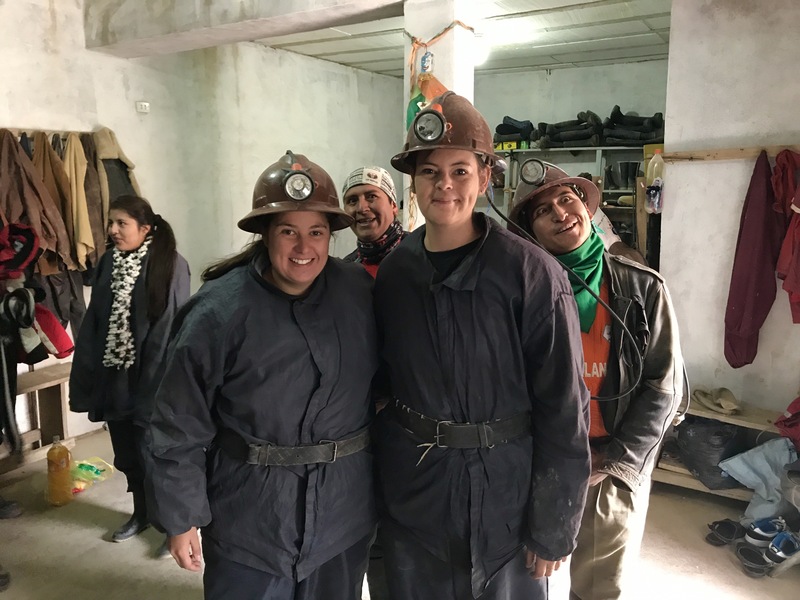 Pedro told us that from his experience of working in the mine, that the work was hard but he felt extremely safe inside the mines. No major collapses have happened and the mines are very stable. He told us a story of how he worked with a National Geographic photographer for three months in the mine. When the article was released he realized that this photographer did not write the article but simply took the pictures. The author of the article spoke of how dangerous the mines were and how terrible the conditions were for the workers. 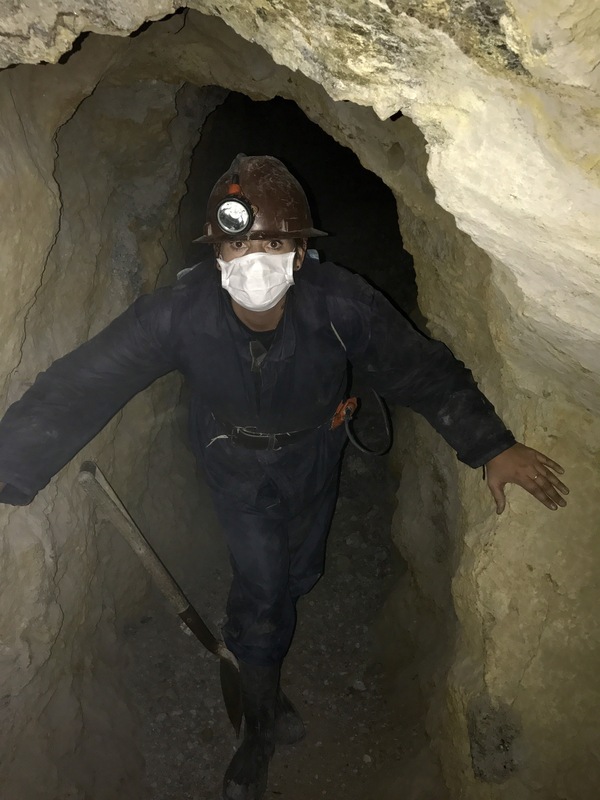 Pedro explained that this was not a fair account of the mines as the author had never actually stepped inside the mines to see what the conditions were truly like. The entrance to Grito de Piedra. Courtney going down the first ladder. Pedro explaining his life as a miner. Walking in the mine was not as scary as I thought it would be. 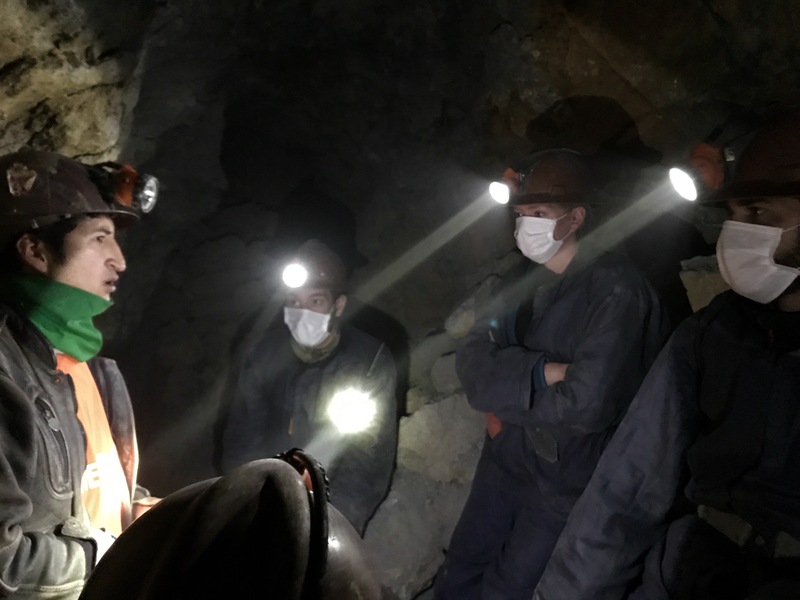 The first team of miners we saw. 400 kg of rock waiting to be taken out of the mine. Happy to see sunlight again. However saying that, not once did I feel clostrophobic or scared and I think that was largely due to how Pedro interacted with the group. We finished the tour with smiles on our faces. Everyone in the group coped fine with being underground, in small spaces and Courtney coped perfectly with her asthma. We were in the mine for approximately 90 minutes and walked a distance of 1 km. This experience was really informative. 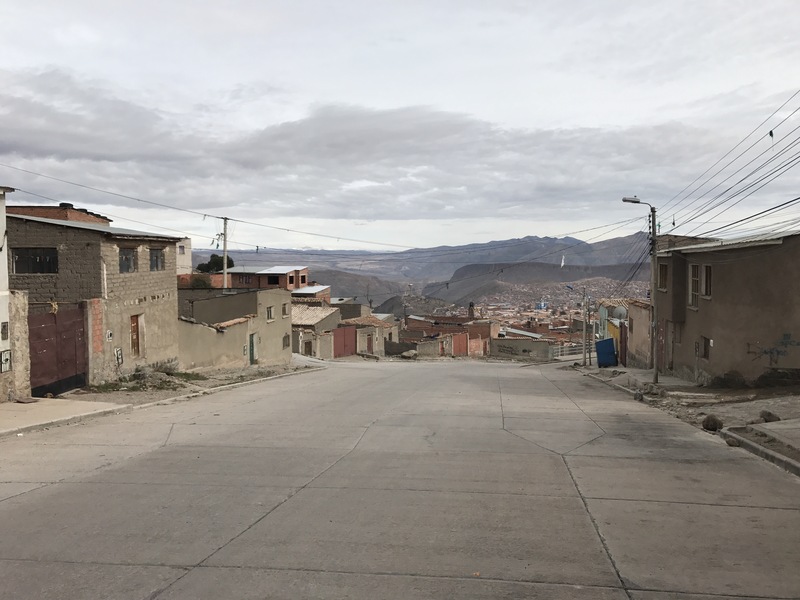 It was interesting to learn how Bolivians who live in Potosi earn a living and what challenges they face. If you are interested in this tour, definitely use Big Deal Tours! Loved this report of an “off the beaten track” type tourist thing to do. The geologist in the family would have loved it!